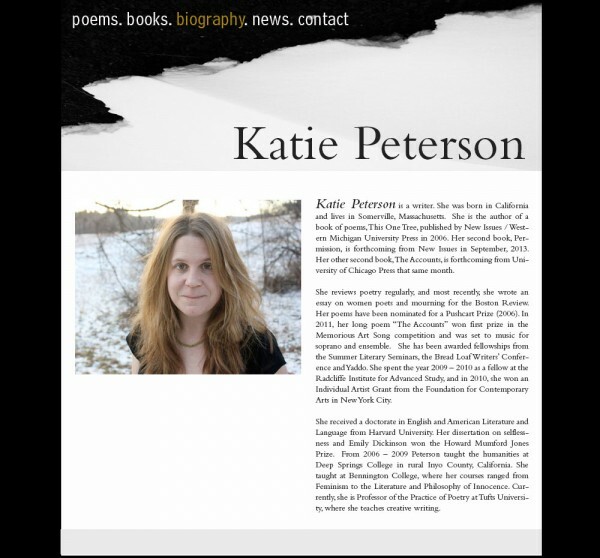 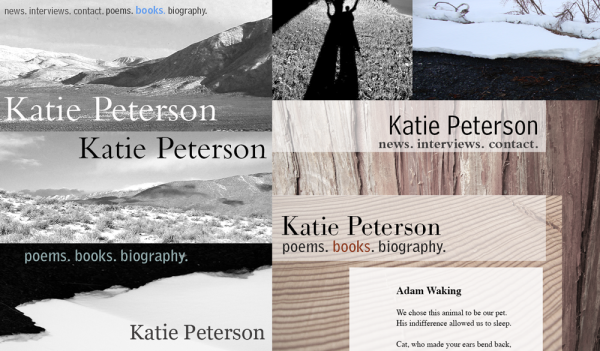 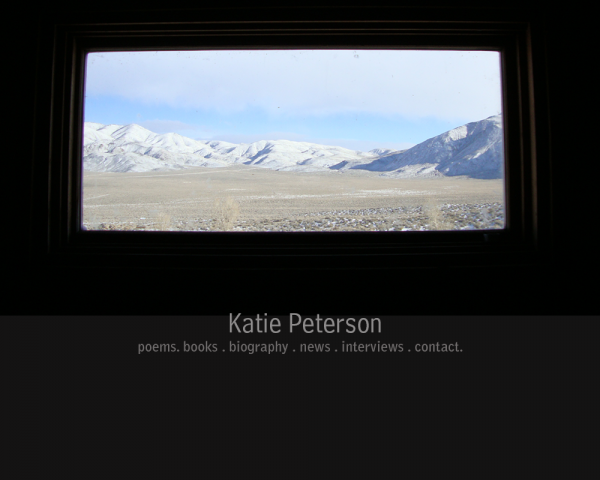 A custom WordPress site designed and built for the poet and writer Katie Peterson, whose poems explore interior and exterior landscapes, exposure and shelter. 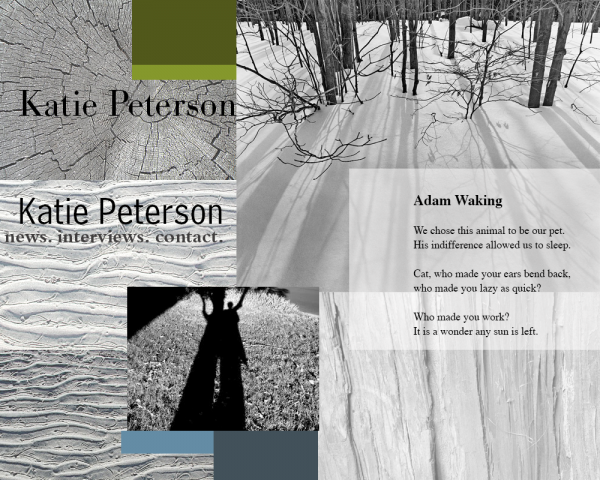 Below are design treatments and mock-ups for the site. 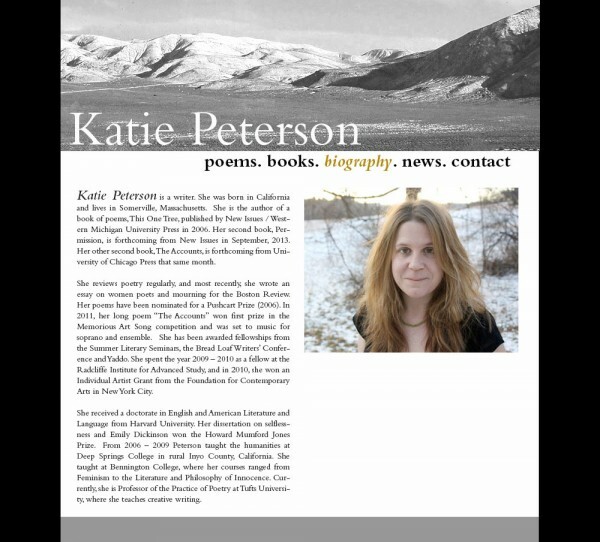 View the site at katiepeterson.org .